Louis Jewelers is Now offering Interest Free Financing through Well's Fargo. Louis Jewelers has been a trusted name in the jewelry business for over 30 years. Owner Louis Carciobolo started taking classes at the gemological institute of America for jewelry design in the 1980’s. At the same time he started building a very successful wholesale jewelry business. He later set up a jewelry bench shop at his father’s photography studio where he began making and selling bridal jewelry. Continuing to study at the gemological institute of America and building his business, the business began to bloom. So he set out to open his first jewelry store in Guilderland N.Y. where he ran a very successful business for nearly 20 years. Louis built a reputation for finding the best deals, and passing on tremendous savings to his customers. Louis became the name more and more people trusted when shopping for fine jewelry. He then expanded to Lake George N.Y. where he operated a second store for 8 years. From Lake George to Albany N.Y. Louis jewelers became a top rated jewelry destination. When the opportunity to buy one of the areas most desired retail locations at Suttons Market Place, he jumped on it. Thats when he consolidated both stores into one central location. After the renovation, he opened what became this amazing, nearly 4,000 square foot store. Come see for yourself why so many people are talking about this incredible store. With a reputation of honesty, trust, and quality, you’re sure to see why more and more people trust Louis Jewelers with their valuables. Together with the best prices in the industry and service second to none, were sure your experience will be a happy one. So the next time you need either a simple repair or a uniquely crafted one of a kind treasure, come see Louis. Louis Jewelers; making memories one piece at a time. Louis Caricobolo established Louis Jewelers in 1982 in his Fathers photography studio. Louis Studied Classes in New York at the Gemological Institute of America, and growing His Business from Albany to Lake George. Louis has owned and operated Louis Jewelers for Over 30 Years. Please contact Louis today with your questions on the buying process, Estate Jewelry Evaluations and When Selling your Gold and Diamonds. 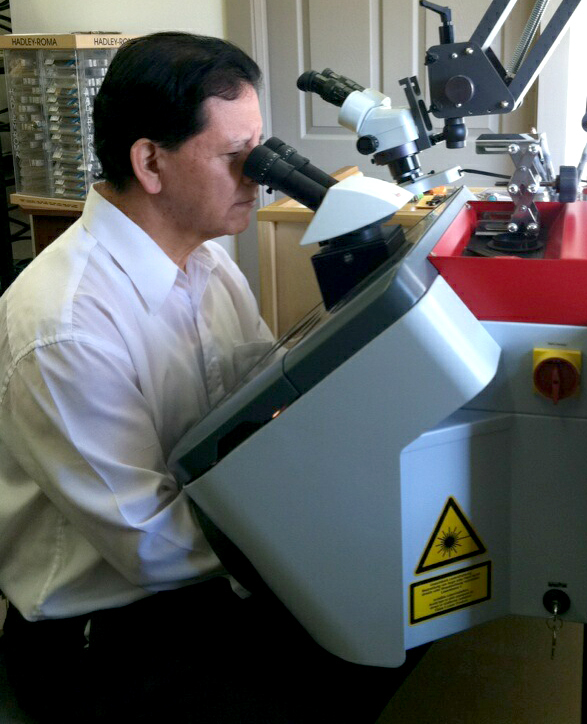 Carlos comes from a long family history of trained jewelers. His experience started at a young age working with his brother in one of New York’s largest diamond setting factories. 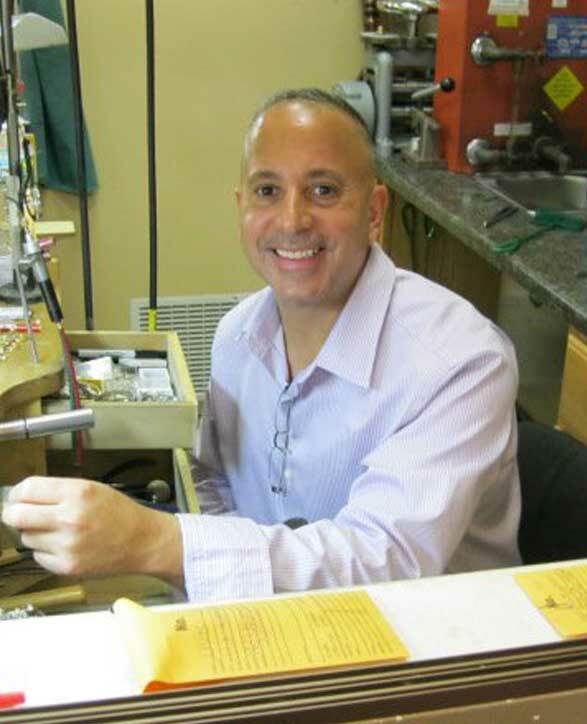 Carlos has acquired a high level of expertise in creating and repairing fine jewelry. Carlos has a wide following of customers that only trust their jewelry in his hands. Come See Carlos while in our store and see te endless possibilities of Jewelery design and repair. Expert jewelers on staff that you can actually TALK to. Repair or Redesign even the most delicate, intricate pieces without heat! Stone replacement, Ring Sizing, Watch and Eyeglass Repair, Stainless Steel, Titanium, Steel, Gold, Silver, and more. Come see the experts (Listed with the Jewelers Board of Trade) and get an Honest Evaluation and the Highest Price in the Industry.